This is our Best 4 day 3 night holiday package Phuket no.3. 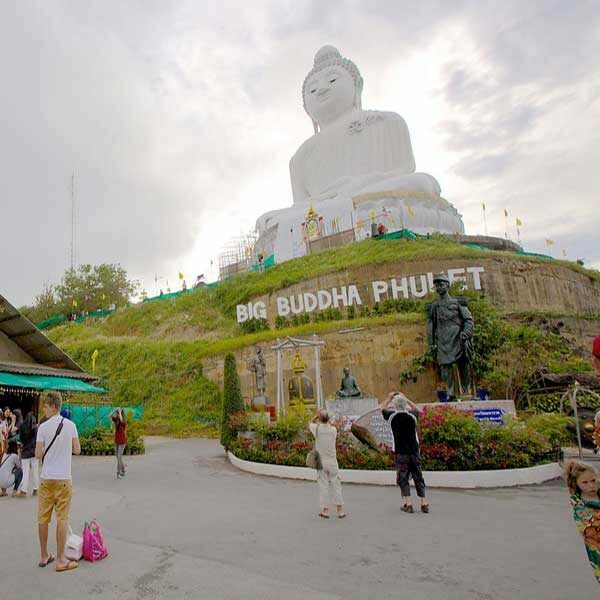 Yet another great combination of trips and activities to keep you busy for your stay in Phuket. On your first day we will meet you at the airport and take you to your 4 Star Hotel where you can relax for the rest of the day. On the morning of Day 2, after you have breakfast at your hotel, we will pick you up and take you to the Royal Phuket Marina, to get ready for your speed boat trip to Mosquito island, Bamboo island, Monkey Beach and Phi Phi surrounding islands. On day 3 you have another full schedule with a 5 hour city tour of Phuket, then back to your hotel late afternoon to get ready to be picked up and taken to the famous Siam Niramit Dinner & show. Day 4, check out of your hotel and we transfer you back to the airport so you can take your flight. One Day Trip Phi Phi Maya Island & Bamboo Island Deluxe Tour By Speedboat. 07.15-08.00 Pick up from your hotel and transfer to the “Royal Phuket Marina”. 09.30 Departure to “Bamboo Island” by speedboat. 11.00 Arrive at “Bamboo Island”, enjoy swimming, snorkeling and relax with white sandy beach. – leave from Bamboo Island to “Phi Phi Don” for snorkeling. 13.00 Enjoy a great lunch at “Phi Phi Don” (Ton Sai Bay). – Sightseeing at “Viking Cave”. – Snorkeling or swimming at “Phi Phi Leh”. – Arrive at “Maya Bay” where the movie “The Beach” was filmed. Relax and swim in the crystal clear water. 17.00 Arrive at Royal Phuket Marina and transfer back to your hotel. City Tour Phuket for 5 Hr. by Private Car + Evening Siam Niramit Show + Dinner. – Return back to your hotel. – Enjoy Dinner and amazing Thai Show. *Compulsory of Gala Dinner on the night of 31 December 2017 for all room categories is Adult 3,500.-THB/person. **Booking is required at minimum 3 consecutive nights staying on 24 Dec – 08 Jan.
One day trip premium service Phi Phi Maya Island & Bamboo Island by speedboat + Lunch + Include National park fee. City Tour Phuket for 5hr. by Private Car. 3 Breakfast, 1 Lunch, 1 Dinner.